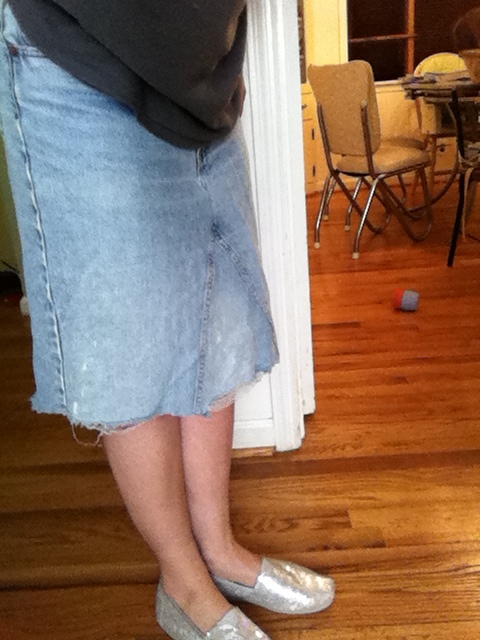 i have been wanting to make a jeans skirt for a long time. 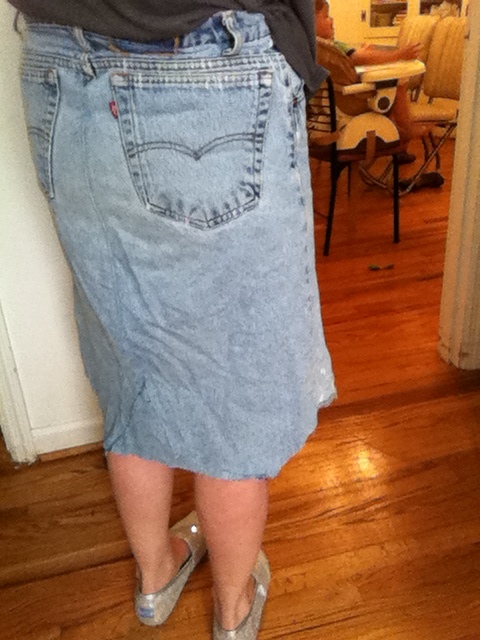 i finally bought a pair of jeans from a friend of mine at a yard sale (or they might have been free- we did a lot of trading) to make into a skirt. 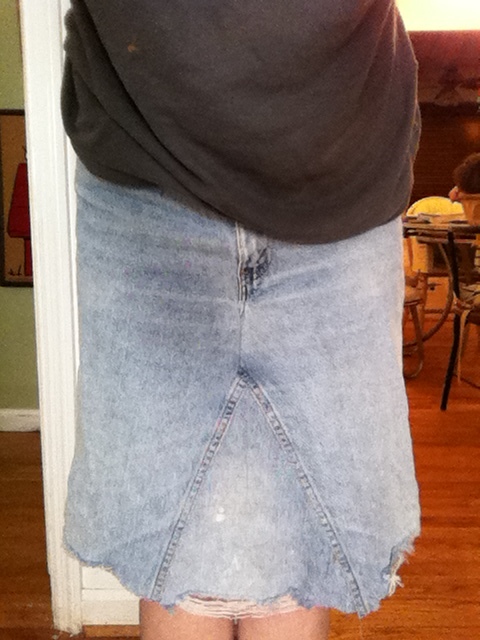 after i got home, i realized after i tried them on they were really comfy and i could not cut them up so i found an old pair of my dad’s jeans that i used for working on the house and painting… they are a pair of those high waist jeans that make any figure (except maybe thin figure) look not so good. i cut them off at the knee where they already had knee holes. then i ripped the seams all the way to the zipper on the front and to the top on the backside, almost to the belt loop. then i just pinned and stitched new center seams and used the old cut legs to patch up the front and back slits, making it into an adorable A line skirt.